Swedish All-Star Left Winger who began his NHL career with the Vancouver Canucks in 2000. He helped lead the Canucks to the Stanley Cup Finals in 2011 where they were defeated in 7 games by the Boston Bruins. 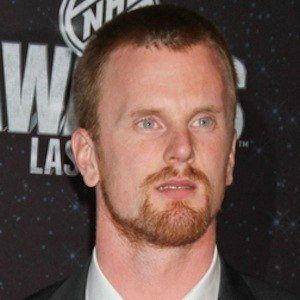 He first began playing next to his brother Henrik Sedin at age 14. He had one of his best years in 2011, where he earned the Art Ross Trophy and the Ted Lindsay Award. He has two daughters, Ronja and Anna, and a son, Erik, with his wife Marinette. His identical twin brother Henrik also plays for the Canucks. He competed on the Swedish Olympic team in 2006 with Mattias Ohlund.